These three photos are just some of the 21 photo set from the shoot of photographer Craig McDean at Milk Studios for the CFDA journal. 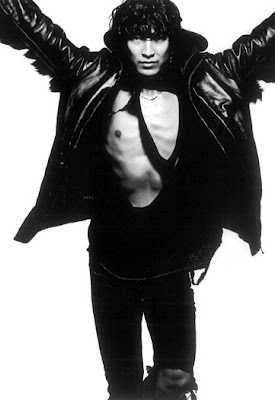 The story started when CFDA (Council of Fashion Designers of America) president Diane von Furstenberg asked creative director Trey Laird to "Capture fashion — do something fabulous." So, Laird decided to ask the designers wear their own creations. Cool, right? 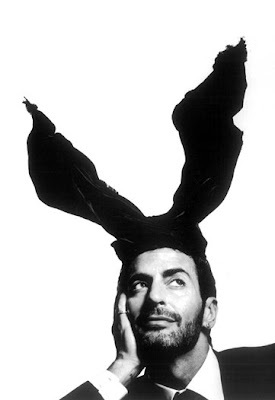 International award winner Marc Jacobs, sported his ever appreciated bunny ears headpiece. Must appreciate that. He will be honored for his work for Louis Vuitton. This year’s CFDA awards are scheduled for June 15. See all the nominees here. More than the event itself, I can't wait to see the rest of the photos with designers wearing their own creations. Mmm - eye candy ahead!